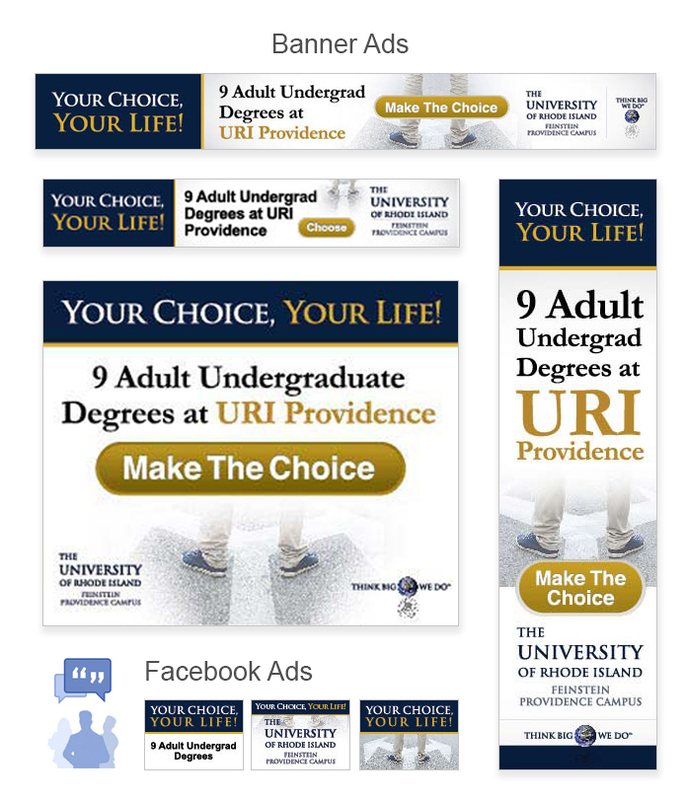 The University of Rhode Island Feinstein Providence Campus was looking for a partner to develop and execute creative production services for radio, outdoor, and online advertising for their Spring 2013 outreach campaign. The University wanted a fresh new messaging that would not only get their target market's attention but would also drive them to make advisory appointments. 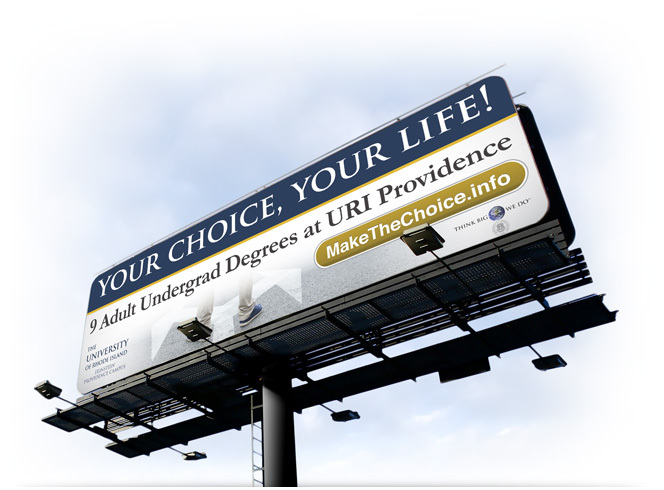 Xzito collaborated with the University to create its "Your Choice, Your Life" campaign and deliver it through billboards, Internet ads, and radio ads. We ensured the messaging related to their demographic and at the same time achieved differentiation from other universities. In October 2010 we engaged Xzito to work with us in optimizing our web site and prepare us for PPC advertising with Google. So far we have received excellent service. The company team has been wonderful to work with far surpassing our expectations. They are extremely efficient and focused and timely in their delivery.